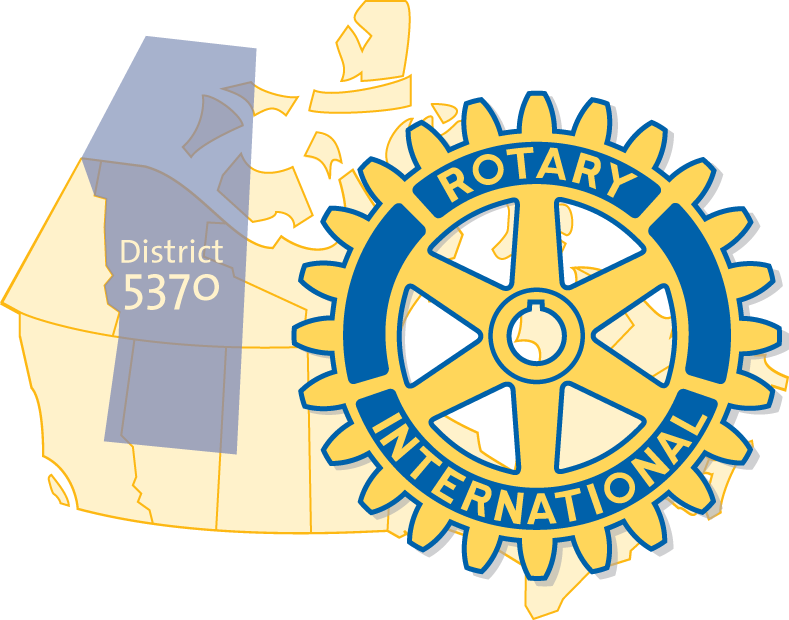 District 5370 is the world’s 3rd largest Rotary district land-wise, with over 2350 members in 62 clubs. The district stretches from North Battleford, SK to Ft. Nelson, BC, and from Jasper, AB to Yellowknife and Hay River NWT. It includes the Greater Edmonton Area. Kevin joined Rotary in 1997. Since then he has been an active member of the Rotary Club of Grande Prairie. He served as President, and has chaired many committees. His areas of interest include Rotary Youth Exchange program, and membership growth. Rotary International is the world’s first service club organization, with more than 1.2 million members in 33,000 clubs worldwide. Rotary club members are volunteers who work locally, regionally, and internationally to combat hunger, improve health and sanitation, provide education and job training, promote peace, and eradicate polio under the motto Service Above Self. Find out more about Rotary, click on the video below. excellent Kevin – this is a great way to share. Just discovered Zone 24/32 WordPress blog and suspect due to its similar design to yours that you are the person behind its creation. Would that be a logical assumption to make? Would like to discuss/correspond with you about it. Indeed, I will forward my email address to you.